Prepare yourself for a shock Nissan people. 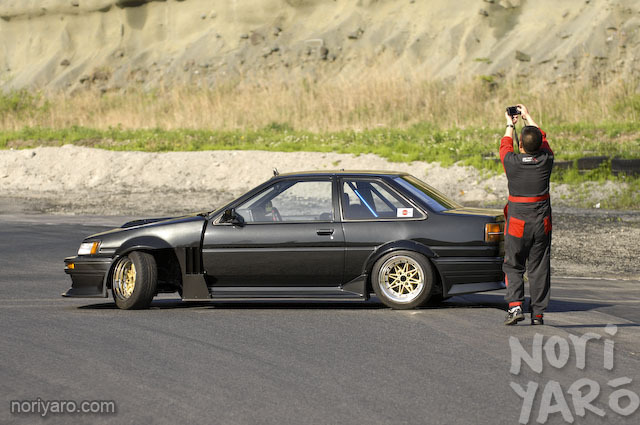 Bee☆R’s boss Imai-san is actually an AE86 freak at heart! This is his latest personal car that I saw at Nikko Circuit a little while ago. As you can see, he’s very proud of it and was constantly taking photos. He even wheeled it out onto the track before the event began and snapped a few there too. The engine is a stock supercharged unit with a weird old-school HKS cast exhaust manifold with a blanked external wastegate flange. 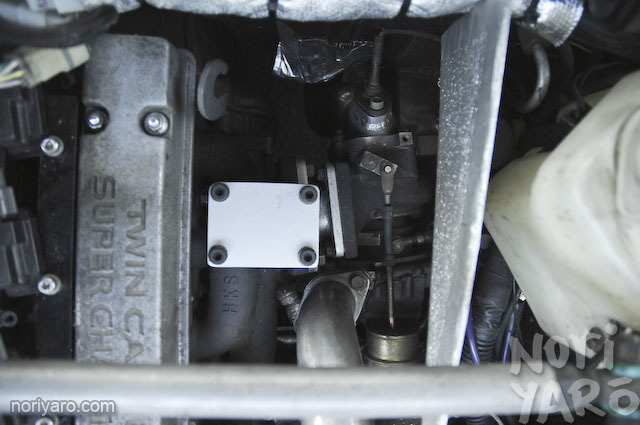 The turbo is a standard R33 GT-R unit, as Imai-san says they’re common enough to be disposable if he happens to blow one. The front fenders are standard metal items that have been heavily modified with some flares and one-off painted alloy sheetmetal venting. That’s amazing.. I must say I’m an AE86 freak myself so this is just the coolest thing. I love the way he made those front fenders. Hachiroku heads will remember Imai-san was the man in charge of fitting Akira Iida’s Group A 20-Valve 4AGE when he built his own ultimate AE86 in the late 90′s. Indeed the coolest Hachiroku in the world. it needs a duck tail or big carbon spoiler to make the back look as agressive as the front, still a wicked machine though, ive allways wanted to do something similar to my front guards, looks sick! That thing has badass ness oozing from every inch of its awesomeness!!!! As a skyline freak, I would’ve hoped to see him in some insane GT-R of sorts. But the AE86 fan inside is happy anyway! In comparison the back looks a tad plain imo. I’d still gladly have it parked in my drive nonetheless! It’s nice to see such pride in the vehicle. I assume you’ve passed on your photos to him as well? Given the effort he was going to, I’m sure he would be stoked. The next comment below this might answer your question. Did not you know?HACHIROKU freak. Please look when you can do the following HACHIROKU. We need more hachiroku content on nori yaro! 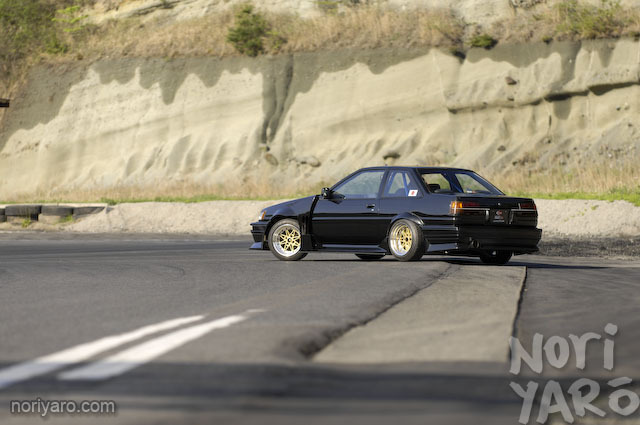 Everytime I see a AE86 like that one it makes go out and buy one. Keep up the awesome work, Alexi… And a little less crocs! The last six posts in a row aren’t enough?! 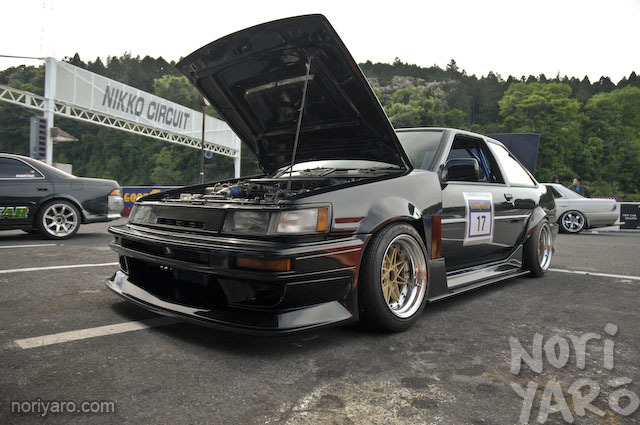 I like AE86′s, but not this one. 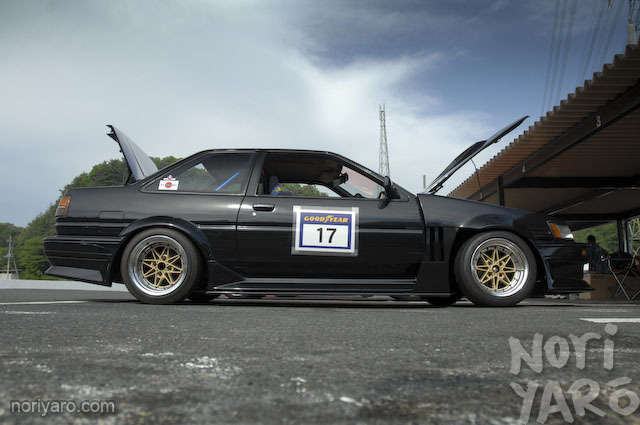 the SECOND coolest Hachiroku in the world. Would love a desktop sized shot of picture #6 Alexi! Imai-san seems like the coolest dude on this planet!